Discussion in 'Cars in General' started by GTPNewsWire, Feb 6, 2019. This article was published by Joe Donaldson (@Joey D) on February 6th, 2019 in the Car Culture category. Vinylshark, Antonio_1989 and PSN:And-War like this. Great. Now i wanna play gt2 again. PsuPepperoni and PSN:And-War like this. Anyone else think this car is a bit over hyped? None of that racing record was particularly special nor the drivers who drove it. It's not particularly good looking and gives more of a 'kit car' vibe than something that was crafted in the vein of a true classic GT racer. I think it's just been caught up in the outrageous prices 'classic' cars seem to fetch these days. I think it did well considering that it was a small team. It raced on till to 2000s if I remember in the FiA GT championship in Europe and was always fighting for the top ten, always got to love the underdog. I personally loved how it looked and a 7 liter V12 just of been something else to listen to. So this car was in gt2, gt3, gt4, gt5, gt6 and gt psp correct me if I'm wrong? This car was also in the first simbin gtr game. DaigoD and McLaren like this. CLowndes888 and PSN:And-War like this. Lister Storm is one of my favorite in Gran Turismo series. Dave Beerman and PSN:And-War like this. I think the did well considering that it was a small team. It raced on till to 2000s if I remember in the FiA GT championship in Europe and was always fighting for the top ten, always got to love the underdog. This. They claimed the victory in 2000, finished 3rd in 2001-2002, 2nd in 2003. After that though, they seemed to have been plagued by reliability issues. Only 6 races in 2004, finished only 2 of those. Was at the full schedule in 2005, but when it wasn't getting into the Top 10, it was being retired. Only 2 races in 2006, 1 retire, 1 DNS. I think the car was done after that. By then though, the Maranello GTCs and the MC12s had pretty much run everyone off the podiums. DaigoD and PSN:And-War like this. Say, is there a single word demonym for someone from Portugal? Three Brazilians and a...Portugander? If I had the money I'd buy it right away without a second thought. 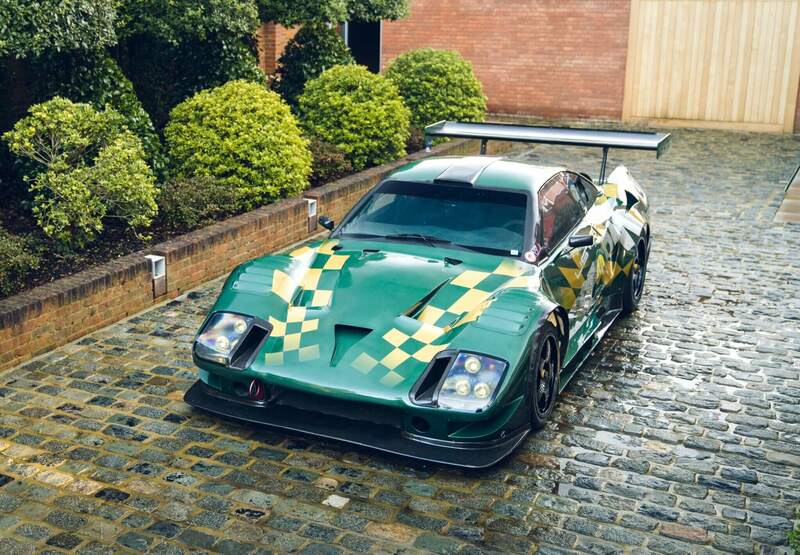 The Lister Storm has always been one of my favourite race cars and always will be. Every time I see this car I remember being a kid watching Le Mans for the first time. Because I think the thing's ugly. Dave Beerman and TexRex like this. I suppose that's nice for those to whom that sort of thing is appealing, but that isn't me. I'd much rather an X300 Jag (or even an XJ40) with that V12, despite the maintenance headaches associated with it. But then a Series II Daimler Double-Six coupé would be a special treat, particularly in the configuration I'd prefer, which could easily rival the Lister in price. So the Portuguese speak Portuguese and are called Portugueses en masse? That's just weird. Vegard and PSN:And-War like this. No, just Portuguese no matter how many. No, like sheep, or Lego. Fair. I'm so accustomed to referring to fish as "fish" in the plural sense that I forget "fishes" is acceptable and even commonplace elsewhere. Loses just like its brother, the Gillet Vertigo.